i.e., as . 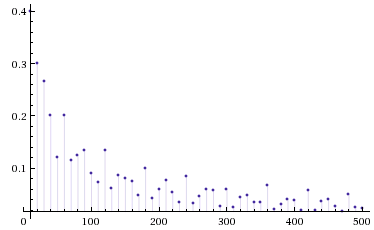 In layman’s terms, this is saying that the number of divisors of is small compared to when is large. The following plot of against for captures this nicely. So this means, for example, that there are only finitely many positive integers with more than divisors, which I think is pretty neat!